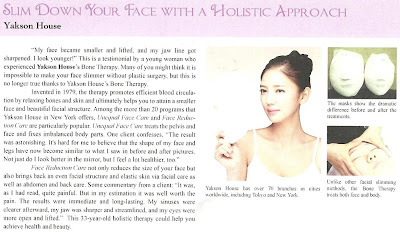 “My face became smaller and lifted, and my jaw line got sharpened. 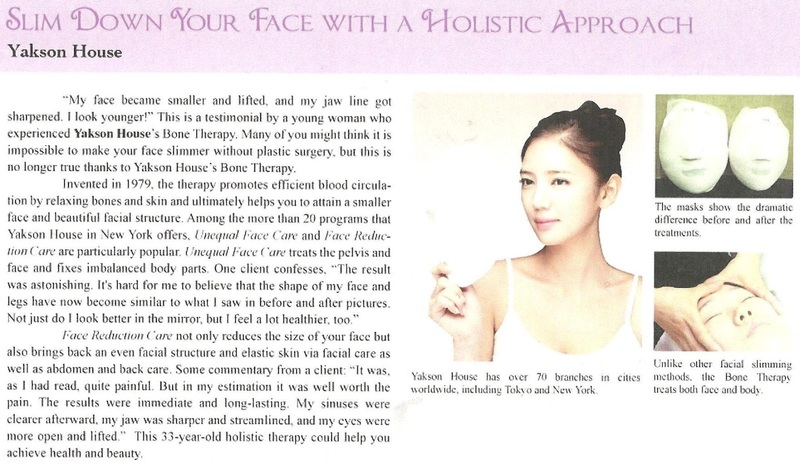 I look younger!” This is a testimonial by a young woman who experienced Yakson House`s Bone Therapy. Many of you might think it is impossible to make your face slimmer without plastic surgery. 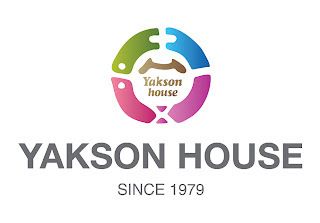 But this is no longer true thanks to Yakson House`s Bone Therapy. Face Reduction Care not only reduces the size of your face but also brings back an even facial structure and elastic skin via facial care as well as abdomen and back care. Some commentary from a client: “It was as I had read, quite painful. But in my estimation it was well worth the pain. The results were immediate and long-lasting. My sinuses were clearer afterward. My jaw was sharper and streamlined, and my eyes were more open and lifted.” This 33-year-old holistic therapy could help you achieve health and beauty.